The final Test match has ended, that too in under three days. The whistle-stop tour has concluded without Bangladesh winning a single match. To be brutally honest, except for a moment or two in the very first ODI, the Bangladeshi's were nothing but pretenders on a stage that is far too large and daunting for them. The topic of Bangladesh's inclusion in the Test playing ranks is a touchy topic with its passionate supporters. 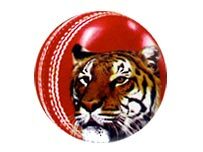 However, passions aside, this tour has proven that Bangladesh fall into Zimbabwe's league, when it comes to Test cricket, and do not deserve their full membership of the ICC. This statement has been made by many prominent people in the past and must be given due consideration by the ICC. Cricket's flagship format deserves better contests than are currently offered by the likes of Bangladesh and Zimbabwe. In fact, crucial to Test cricket's survival is the offering of tough, give-no-inch cricket where the one team is not overwhelmed as a matter of course, rather as a freak result. Bangladesh have done well to significantly improve the level of competition they regularly offer to the opposition in the one-day format. However, it is no overstatement to say that Bangladesh do not yet have the resources, in terms of skill and mental fortitude, to offer a serious challenge to the traditional Test playing nations. Bangladesh's problems are compounded by the ICC's six year itinerary. Sri Lanka, which is frequently used as an example for Bangladesh's Test status, had the benefit of being able to grow their system and structure by playing selectively in home conditions that were familiar to them, without the added pressure of an unforgiving itinerary. Bangladesh, on the other hand, have been unceremoniously and mercilessly torn to shreds in foreign conditions that they do not have the capacity to negotiate. In fact, foreign conditions alone cannot be blamed for Bangladesh's heavy losses, as the team also gets regularly humiliated at home. It seems to me that Bangladesh's Test status has been handed over a generation too soon. It was quite obvious then that Jagmohan Dalmiya's greed was the primary motivator in granting this Test status, and this has been manifested in the results that the Bangladeshi's have produced. For the sake of Test cricket's future, and primarily its appeal to us, the viewers, the individual members need to apply serious pressure on the ICC to revoke Bangladesh's right to play Test cricket. At the same time, making a firm commitment to replace the scheduled Test matches with "A" team fixtures. This is the only sane and logical path that will be for the benefit of all.